2.After the separated liquid manure is directly discharged into the biogas tank, the efficiency of the biogas is higher, and the biogas tank will not be blocked, thereby prolonging the service life of the biogas. 3.After the separated feces is mixed into the straw, the straw is fully stirred, and the strains are fermented. 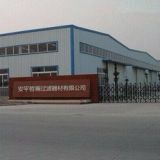 The granulation can be made into a composite organic fertilizer. 4.The separated feces can be used directly to improve soil quality. 5.The separated manure can be used for breeding earthworms , mushroom cultivation, and feeding fish, which can add considerable benefits to your farm. 1. Animal wastes, such as pig manure, cow dung, poultry dung, horse excrement and other kinds of animal manure. 2. Biogas slurry, sludge gas and biogas fermentative residue. 3. 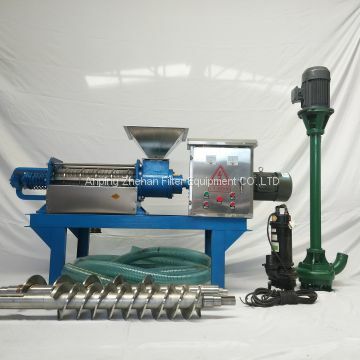 Maniocwaste, tea slag, sweet potato waste, maize pulp, bagasse, medicine dregs, wood pulp fiber, paper pulp fiber, bean dregs, coffee grounds and so on. 4. Any kinds of solid liquid separation. 1. Solid excrement after separation is conducive to transportation and higher price for sale. 2. 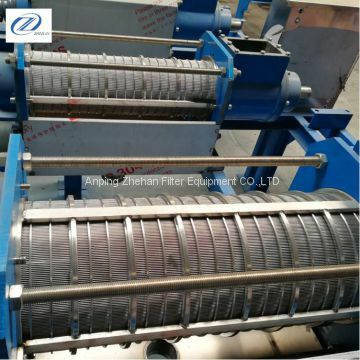 After the separation, the excrement is mixed into the grass bran to stir well, it can be made into compound organic fertilizer after granulation. 3. The separated excrement can be directly used to improve soil quality, and it can also be used to breed earthworms, grow mushrooms and feed fish. 4. The separated liquid can directly enter the biogas pool, the biogas production efficiency is higher, and the biogas pool will not be blocked to prolong the service life. 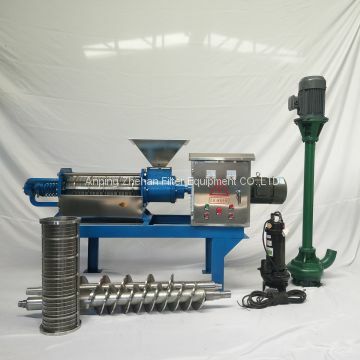 The solid-liquid separator use pump conveying the dung water to the host, the host spiral squeezing dung water under dynamic drive, pushed the dung water into the screen body, constantly push discharge port, the more material, the pressure is higher of the front end. 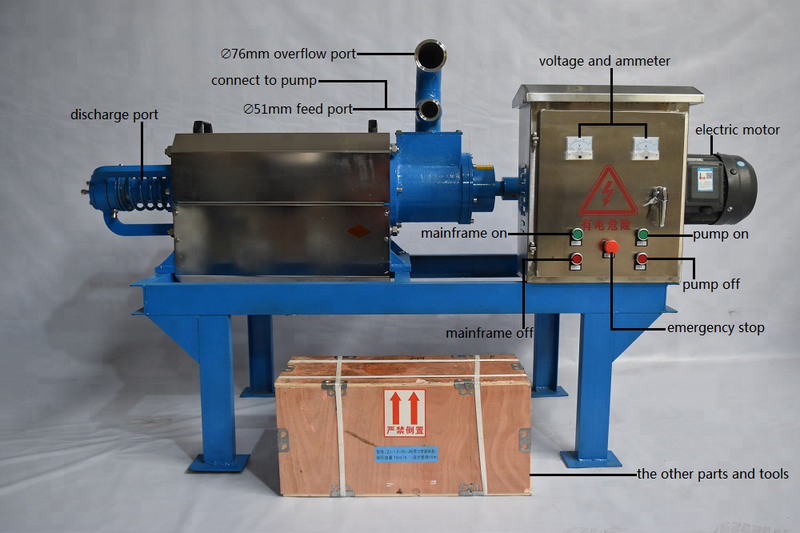 With the increasing pressure of screen body, fibrous solid by screening out and push to discharge port, when the extrusion pressure is big enough, the liquid will be squeezed and separation from the solid, through the discharge outlet, the separated solid material would be squeezed and out from the discharge port. 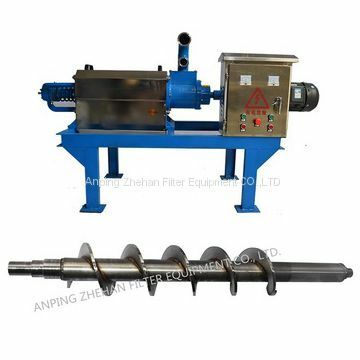 The solid liquid separator is continuous, dung water into the screen body unceasingly, host front filter layer piled up, mounting pressure, when pressure is big enough, the discharge port open baffle, solid is out machine.